Russian Vine, Mile a Minute. A very vigorous, twining climber with heart-shaped green leaves. 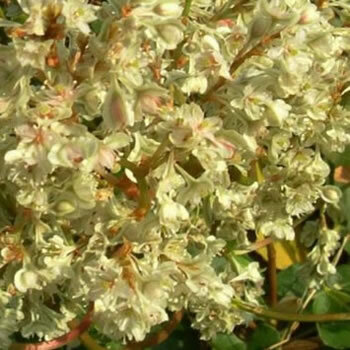 Clusters of white, pink-tinged, flowers in autumn, followed by small fruit. A useful plant for covering unsightly structures. Height 12m. Flowers from August to September. Fruit colour White. Fruits from October Deciduous. Hardy.